Basketball, a sport I know nothing about - other than my Dad was captain of his school team. 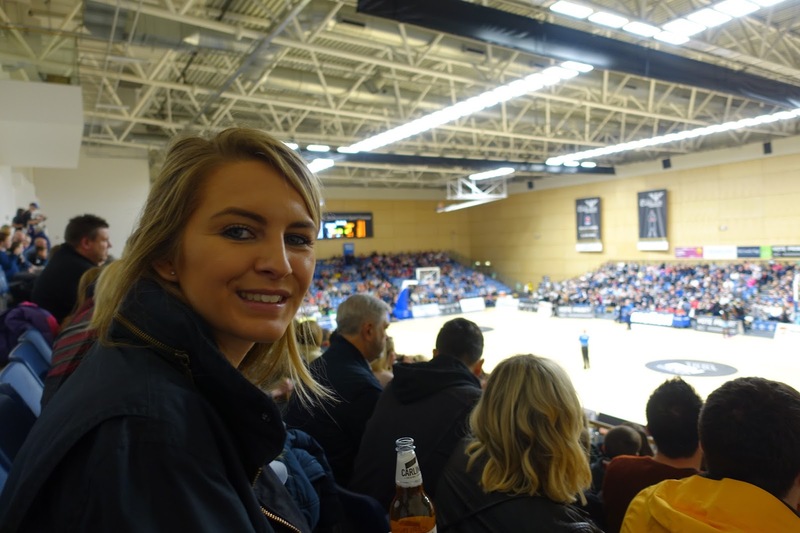 I went to my first Newcastle Eagles match on Friday night having not a clue what to expect. To tell you I enjoyed myself would be an underestimation, it was bloody brilliant!! 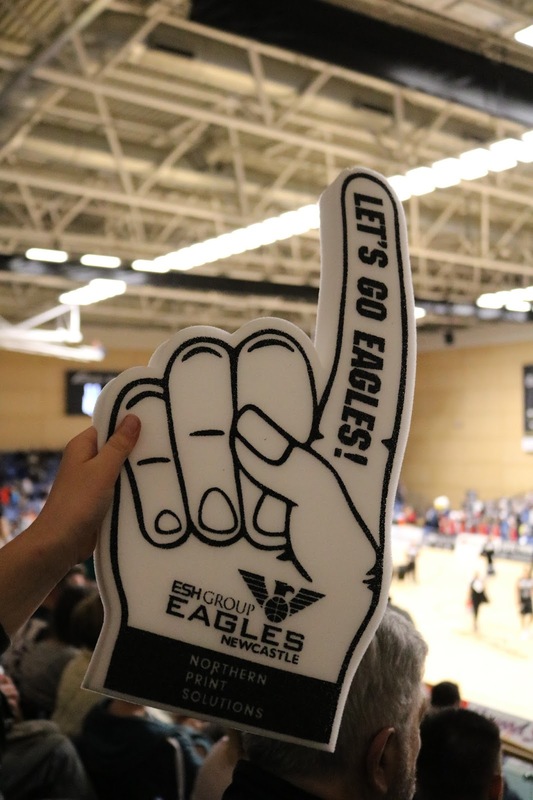 The Newcastle Eagles play their games at Sports Central within Northumbria Uni. It was super easy to get to and there was lots of free car parking. Although next time I'll be getting public transport so I can have a few drinks. The doors opened at 6:30pm but the game didn't start till 7:30pm. We didn't get there till about 20 past 7 which was enough time to grab our tickets, find our seats and get ready for the game to begin. 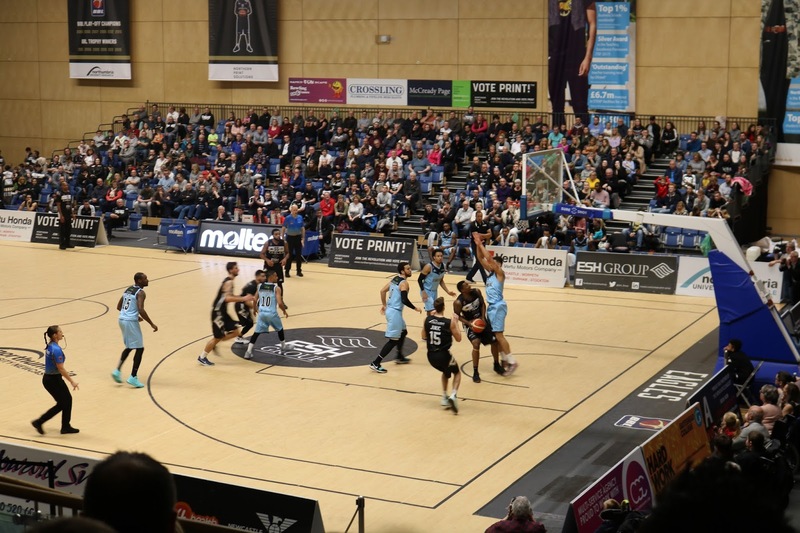 Newcastle Eagles were playing The Surrey Scorchers in the BBL Champions. I was so glad to hear the Newcastle Eagles are the most successful British basketball team of all time. Now I don't know anything about basketball but I'm pretty proud of that! The home team players were introduced to the court with great cheers from the crowd. There was a short warm up, then it was time for tip off, which is exactly the same as kick off to any of you football fans. It started off like a whirl wind, players running up and down the court I didn't know where to look or have a clue what was going on. The score board was going up (in our favour) but I wasn't sure why. 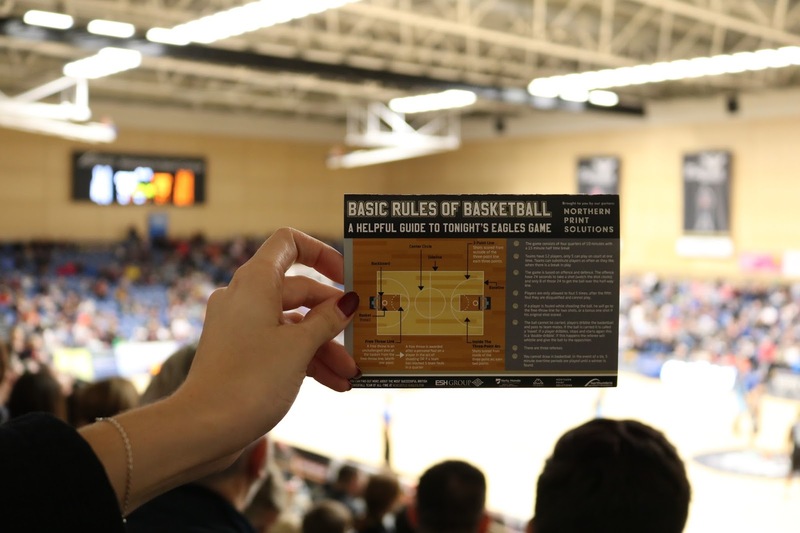 Luckily for me Emily found this cheat sheet on the rules of basketball underneath out seats. The atmosphere was amazing, the crowd was chanting 'Let's go Eagles, let's go' and then on the occasion 'defence' someone had a drum and banging it to the beat of the chant it was incredibly catchy as I was coming out with them for days. So, how is the game played? It's basically four 10 minutes quarters with a half time that lasts for 15 minutes. It was fast pace, which made me think it would be great for children. There was plenty to keep children occupied during the breaks too. My favourite was 'chuck a duck' where you could buy a duck and basically throw it and the person who got closest to the bullseye won a prize! Food and drinks were available too. 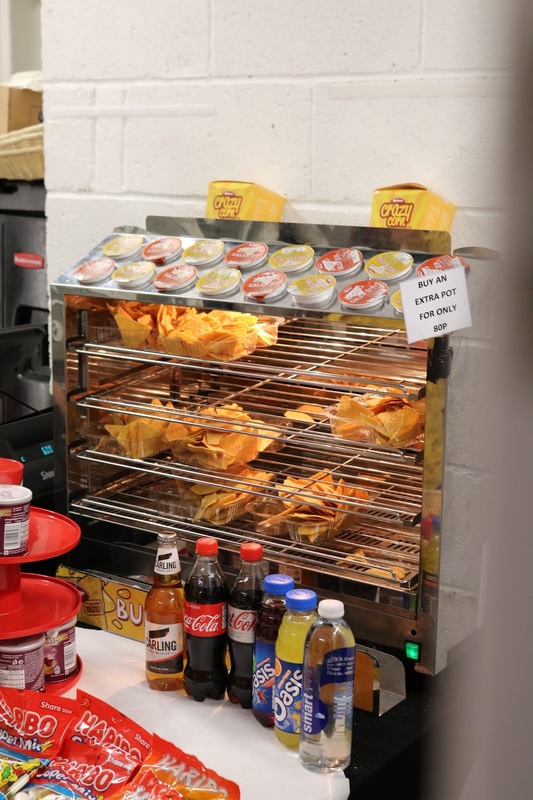 Nachos, sweets, hot dogs, chocolate and beer were all in stock at a reasonable price. Now don't think just because the Newcastle Eagles are the best British basketball time of all time that the the match was a walk in the park for them, it wasn't! The Surrey Scorchers put up a great fight and at one point I thought they might be able to pull themselves into the lead. 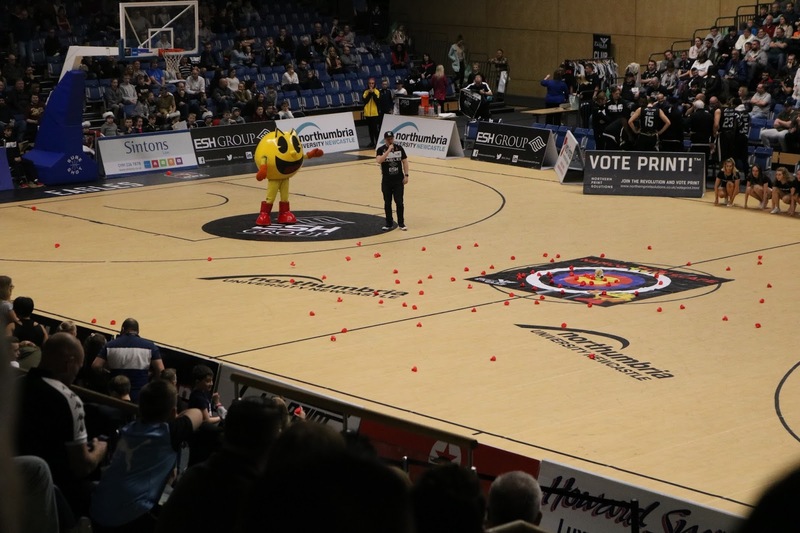 But thankfully the Newcastle Eagles managed to hold them back. 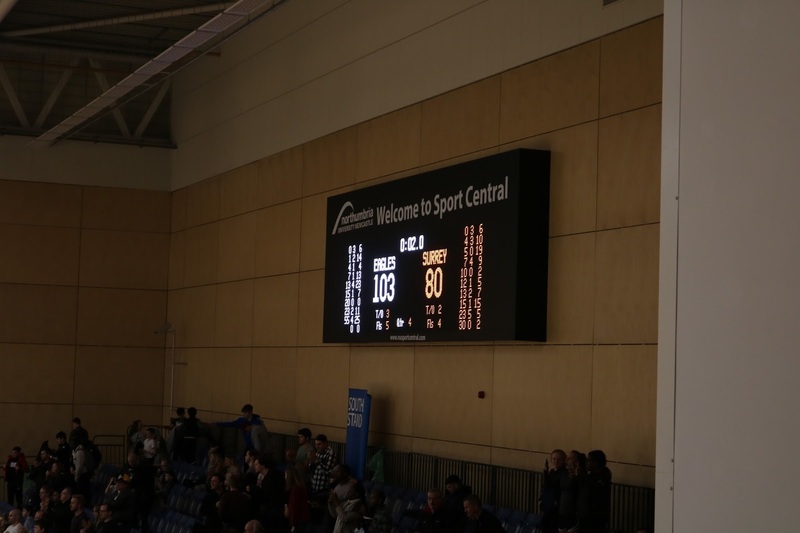 The game finished 103 to Newcastle Eagles and Surrey Scorchers 80. We all had such a good night at Newcastle Eagles and we all agreed that we would definitely go back. Tickets start from £18 for adults and £10 for children, but if you sign up to the newsletter you get some pretty good deals. 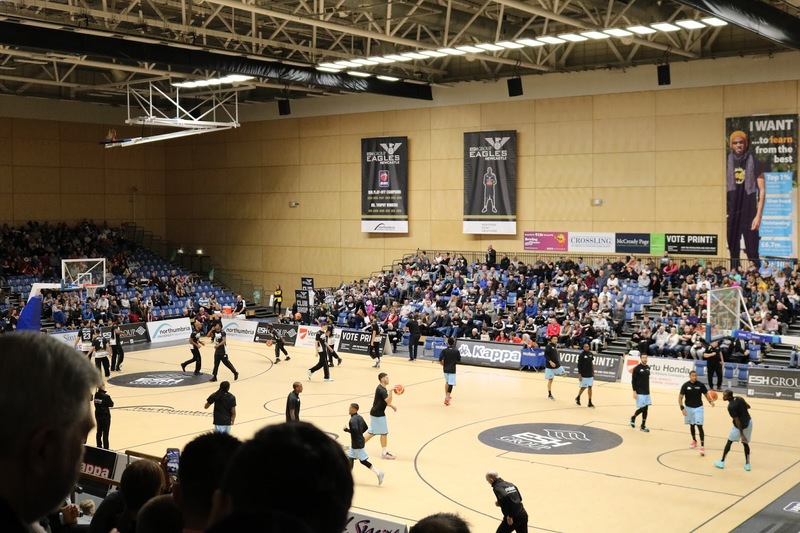 Head to newcastle-eagles.com for more ticket information. 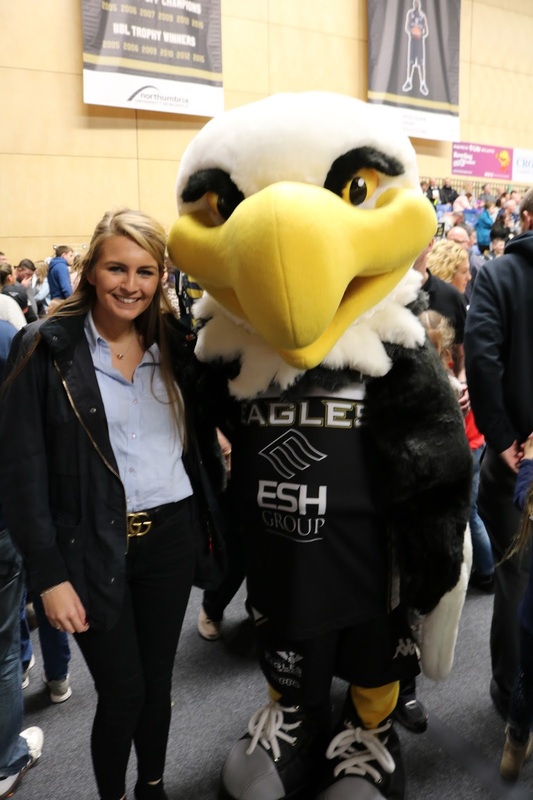 I was very lucky to be invited to a Newcastle Eagles match on behalf of Northern Print Solutions. I'd like to thank them so much for such a great night. Much more refreshing than a trip to a football match. *I was given tickets for me and 2 friends to go to the game, massive thanks to Northern print solutions for suppling them.